The Doctors are running a campaign asking patients to only order the medication that they need. 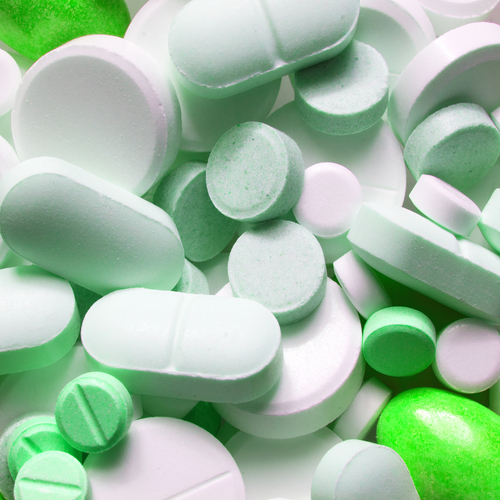 Unused prescription medicines cost the NHS across the UK over £300 MILLION every year! 19,799 MORE drug treatment courses for breast cancer! 300,000 MORE drug treatment courses for Alzheimer's! Tick off the medication you require on your repeat prescription list and drop it into the black collection box located in the lobby at The Health Centre. If The Health Centre is closed you can put it in the posting box on the outside wall of The Health Centre. If you don't have your printed list, you can write what you need on a piece of paper. Please address the envelope to “Prescriptions” at The Health Centre. Please enclose a stamped, self-addressed envelope if you wish the prescription to be sent back to you. Alternatively, you may tell us in writing which local pharmacy you would like your prescription form to be sent to. If you would like to order repeat medication on-line, you can either take proof of ID to the receptionist or answer some security questions over the telephone. The receptionist will then provide you with your username and password to log in. Tick the medication required and select continue, do NOT select ‘Make custom repeat’ or all your ticks will disappear and the prescription clerks will not know which medication you require. Select continue and you will get the 2nd screen which then allows you to write a custom medication note or the pharmacy you wish to collect your prescription. 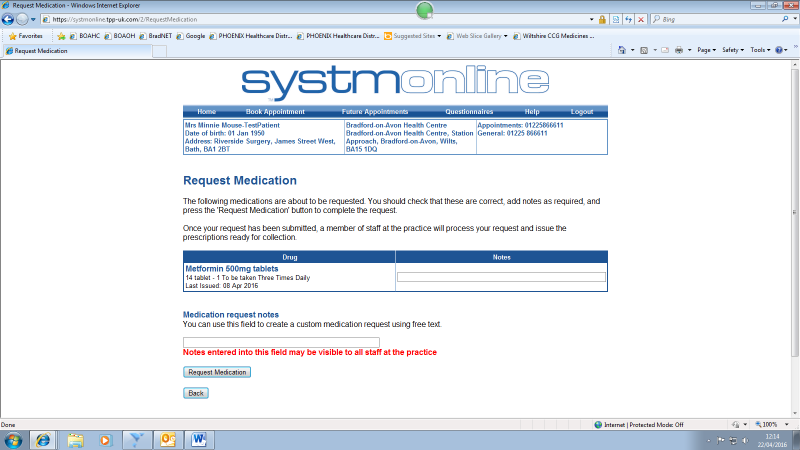 Select Request Medication and your request should go through successfully. In all cases, repeat prescription forms should be ready to collection within 48 hours or less (excluding weekends & bank holidays) after receipt of the request, from reception. Please allow longer than two days if you would like to collect from a specified local pharmacy. The length of time it takes for a Pharmacy to make up your medication may vary. Please refer to the 'Pharmacy Opening Times' tab above to find out specific timescales. Tick off the medication you require on your repeat prescription list and drop it into the collection box located at reception in Winsley Health Centre. If Winsley Health Centre is closed you can put it through the letter box of Winsley Health Centre. Please ensure you push the prescription form fully through the letter box. If you don't have your printed list, you can write what you need on a piece of paper. Please address the envelope to “Prescriptions” at Winsley Health Centre. Please enclose a stamped, self-addressed envelope if you wish the prescription to be sent back to you. Alternatively, you may tell us in writing which local pharmacy you would like your prescription form to be sent to. 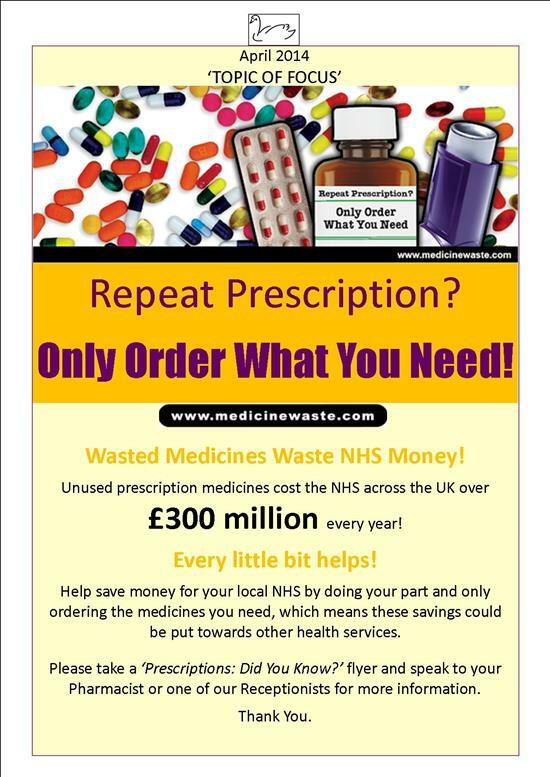 In all cases, repeat prescription forms should be ready to collect from Winsley Dispensary within 48 hours or less (excluding weekends & bank holidays) after receipt of the request. Tick off the medication you require on your repeat prescription list and drop it into the black collection box located in the lobby at The Health Centre, BoA. If The Health Centre is closed you can put it in the posting box on the outside wall of The Health Centre. If you don't have your printed list, you can write what you need on a piece of paper. If you would like to order repeat medication on-line, you can either take proof of ID to the St. Damian’s receptionist or answer some security questions over the telephone. The receptionist will then provide you with your username and password to log in. By dropping your request slip in at your Pharmacy with their agreement. In all cases, repeat prescription forms should be ready to collect within 48 hours or less (excluding weekends & bank holidays) after receipt of the request, from reception. It takes two working days to process your paper prescription at the Surgery, if you choose to collect your medication from Silver Street Pharmacy, please allow a further 2 days before collecting your medication (ie. 4 days in total). It takes two working days to process your paper prescription at the Surgery, if you choose to collect your medication from Lauder & Gamlin Pharmacy, please allow one more day before collecting your medication (ie. 3 days in total). It takes two working days to process your paper prescription at the Surgery, if you choose to collect your medication from Lloyds Pharmacy, please allow a further 3 days before collecting your medication. It takes two working days to process your paper prescription at the Surgery, if you choose to collect your medication from Boots Pharmacy, please allow a further day before collecting your medication. It takes two working days to process your paper prescription at the Surgery, if you choose to collect your medication from Gompels Pharmacy, please allow a further 2 days before collecting your medication. It takes two working days to process your paper prescription at the Surgery, if you choose to collect your medication from Sainsbury's Pharmacy, please allow a further day before collecting your medication. It takes two working days to process your paper prescription at the Surgery, if you choose to collect your medication from Asda Pharmacy, please allow a further 3 days before collecting your medication. 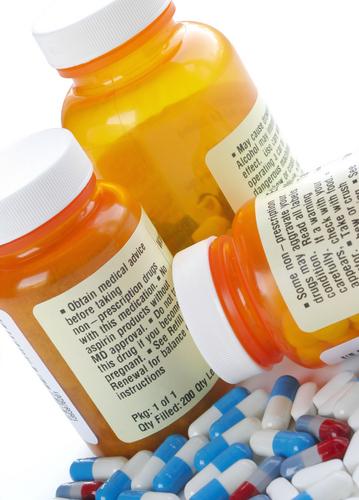 If you are prescribed regular medicines, your doctor may decide that you should have a repeat prescription. This means that you do not have to see a doctor every time you need a prescription renewed. Your condition will still need to be monitored by the nurse or doctor, so you will need to make an appointment from time to time, in order for us to continue giving you repeat prescriptions. What should I do if I want to change my medication? If you would like to make any changes to your prescription, you must speak with a doctor. The receptionists only prepare and process the prescriptions that are authorised by a doctor. Why does it take 48 hours to process the prescription at the surgery? With so many people taking repeat medication, the surgery has to deal with over 1000 requests every week. Each request has to be checked against the patient's records to ensure that it is legitimate and appropriate. When this has been confirmed the prescription is printed. Many requests generate queries or problems that only a doctor can sort out. To do this job efficiently takes about two working days. Of course, in an emergency we can produce a prescription quickly, but the disruption it causes to the smooth running of things only causes more delay for other patients. Once the paper prescription has been collected by the pharmacy they will then require additional time to 'make up' the medication. Therefore, pharmacies have asked patients to allow more time before collecting their prescriptions from them. 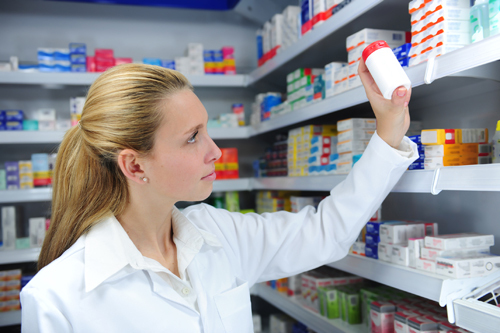 This is to enable the pharmacy time to 'make up' the medication or to order the medication if it is out of stock. Can I have my medication dispensed at Winsley dispensary? Repeat dispensing enables patients to collect medication directly from the pharmacy for 6 months without needing to put repeat prescription requests into the surgery every month. Please click here for more information on repeat dispensing. Why do I need a medication review with the pharmacist as well as the Doctor? Although it is not compulsory, the pharmacy ‘Medicine Use Review’ (MUR) is a service offered by the NHS at your local pharmacy. During the review pharmacists can offer patients, on certain medicines, a review to ensure they are getting the most out of their medicines The aim of these reviews is to complement, not replace, the clinical review from the Doctor. The best time to have a review with the pharmacist is just before your medication review with the Doctor as this can help highlight matters for discussion. The meeting with the pharmacist can also give you a chance to discuss any concerns you may have about your medicines, for example side effects or perhaps recent reports in the media. For more information about medication reviews please speak with your local Pharmacist or get in touch with Heather Call at the Surgery (our new Practice Pharmacist). What do I do if I have unwanted medication I would like to return? If you do have any unwanted or unused medication please return it to the pharmacy as the surgery is unable to dispose of them. 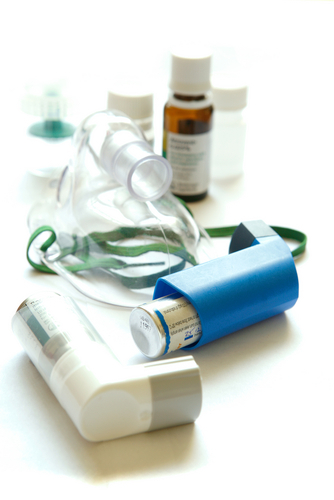 However you ARE able to drop your used Asthma inhalers into the blue bin near reception at The Health Centre BOA or into Silver Street Pharmacy BOA - for re-cycling - and we will do the rest! Who is entiled to free prescriptions? If you find that you are unable to get free prescriptions, but you need regular medication, a pre-payment certificate may save you money. Please click here for more information. Please bring your current medication and your repeat prescription into the Royal United Hospital Bath, so that they can be continued without delay. If you have any questions about your medicines after being discharged from the R.U.H, their helpline number is 01225 825361 and is available between 3pm & 4pm, Monday to Friday. The line is open from 9am until 5pm, however it's not guaranteed a pharmacist will be available unless you call between 3pm and 4pm. The Bradford on Avon Health Centre has created a new option on the phone-line to help answer any prescription queries you may have. To speak to a member of the Prescription Team, please dial 01225 866611 and press option 4. Alternatively, if you are registered with the online service, you can write your query in the 'Medication Request Notes' box (please see image below for reference) found under the 'Current Prescription' tab and a member of the Prescription Team will ensure to answer you promptly. Please provide contact information in this box so that the Prescription Clerk can respond. For a helpful step by step guide on how to order a prescription via the on-line system please CLICK HERE. For health & safety reasons it is practice policy not to take prescription requests over the telephone unless extreme circumstances and you are housebound. 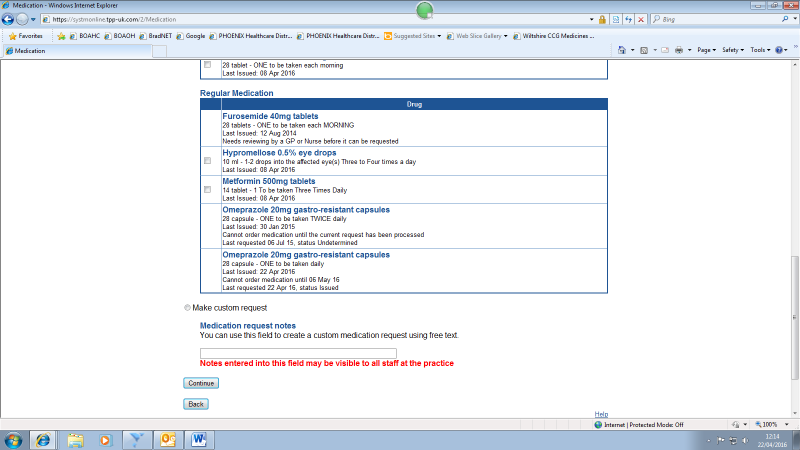 To find out how to order your repeat medication, please refer to the several options explained on the 'Ordering' tab. We please ask you NEVER to give out your card details over the phone. A patient has recently been contacted by someone claiming to be from our Surgery. The caller stated that the patient's prescription was ready for collection and could be delivered if credit/debit payment details were given. The practice will never ask you for your card details over the phone. If you experience any similar requests or have concerns that you may have been targeted, please contact the police via Action Fraud on 0300 123 2040. 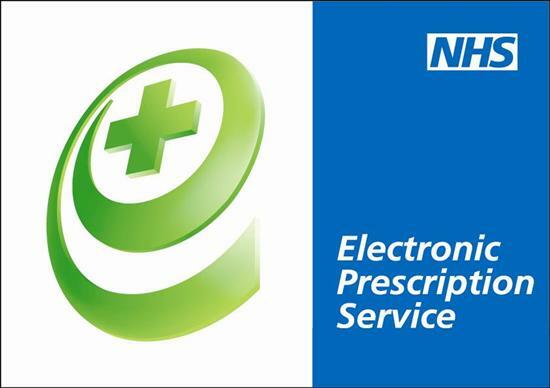 From 17.10.15 the Practice will go live with Electronic Prescribing. If you collect your repeat prescriptions from the Practice you will not have to visit the Surgery to pick up your paper prescription. Instead, your GP will send it electronically to the place you choose, saving you time. if you do not get prescriptions very often.